This page was built in 1997 for our group that attended Lorien Trust/Earthworks (Cardiff) LARP events. 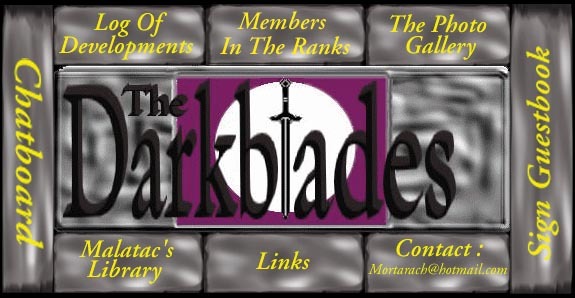 We were called "Clan Sessair" and later changed name to "The Darkblades". Some of the links on the site may no longer work. I have recently (Dec 2017) given it a quick tidy up (fixed a few links, got rid of dead stuff). These were fun times and I'm keeping this as a fond reminder.